Unless you have totally gone off the grid (in which case you probably won’t be reading this article in the first place), you and your family spend at least some of your time online. From “adulting” tasks like paying bills and making appointments to letting your kids play games and watch YouTube videos, the internet can be both a useful and fun tool. Unfortunately, there can also be a dark side. Identity theft, computer viruses, phishing scams and nasty stuff you definitely do not want your kiddos to see can lurk online, threatening your family’s well-being. 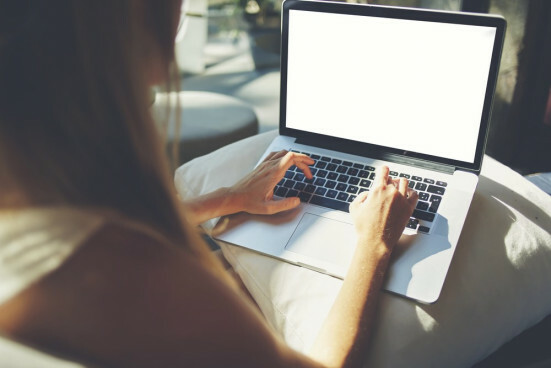 The good news is, you don’t have to take these issues lying down—you can be proactive and protect yourself and your family when you are online. If you use the internet to pay bills, check your bank balance and take care of other transactions that involve your personal data, it is definitely a good idea to invest in some type of identity theft protection plan. That way, if your computer is ever hacked and your sensitive data is exposed, the company behind your plan will get busy alerting you and restoring your good name. Identity theft protection technology can detect malicious use of your personal info—as well as keeping tabs on your credit report and related activities, banking and other financial accounts and Social Security number fraud. When an issue is detected, the company will alert you right away. You can either say “yes, that was me who was applying for a new car” or “no, I definitely didn’t use that credit card today to buy $1,000 worth of gift cards.” From there, a team of identity theft protection pros can fix any issues if and when identity theft occurs. Parental controls are tools and software that let you set controls on the way your kids use the internet. They are very effective in preventing your kiddos from accidentally or purposefully seeing online content that is inappropriate, and they can also set time limits as to how long your children are online. You can either choose a control system that works at the network level, which means it will control all of the devices that are attached to it, or you can install it on whichever devices you wish—for instance, your tween’s tablet and your teen’s smartphone. Even if you trust your kiddos and they typically make really good choices, parental controls offer a layer of protection against issues like in-app purchasing, which can prevent your child from accidentally buying something she truly did not intend to, seeing violent images in videos and getting into chat rooms that are meant for adults. When you are going through your email, be wary of messages that come through from total strangers, urgent “alerts” from banks or other financial institutions that you need to click on a link to fix a problem with your account, and/or emails that have a friend’s name attached to them but include a suspicious link with a short message like “you have got to see this!” These are all types of phishing emails that typically have malware attached to them. To protect your computer from being attacked by malware, never click on a link in an email—if you believe it might be legit, email your friend back or shoot him a text to see if it’s real. If you get an email claiming to be from your bank, give them a call; chances are good they will not have any record of contacting you. Let your kids know these tips as well, and your computer should stay malware-free. You do not have to live in a cabin in the woods with no computers in sight to stay safe. In fact, as long as you are prudent and take these tips into consideration, time online can continue to be an educational, fun and handy experience. Look into ID protection, consider parental controls and be smart with which emails to open and which messages to delete and you and your whole family can continue to safely enjoy time online on your electronic devices.